Hello everyone! So, how’s the weather where you are? Still buried in snow? Or basking in springtime sun? We are currently experiencing the latter, which feels wonderful. HOWEVER…I am a wee bit jealous of winter storms and am crossing fingers SoCal gets at least a few more rainstorms before summer comes along. 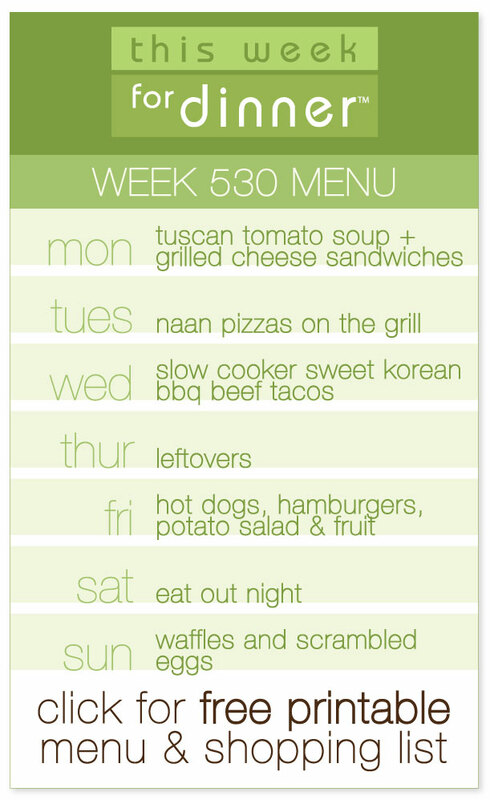 Click here or on the image above for a free printable PDF of the meal plan and ingredients list. You know the drill, folks! Time to share your menus in the comments, plain or fancy! Whatever’s left in the fridge! It’s beautiful and sunny in Temecula wine country! I’d also like to see some more SoCal rain! Our snow in NJ is melting. Excited for spring! …it looks like a long week. I hope these (along with leftovers) gets us through 2 weeks because spring break starts on Thursday for us and I hate shopping on spring break! We have company in town for the week so everything is subject to change.